If we say that .NET is the leading programming platform used to create dynamic, propulsive and versatile applications, there won’t be many to disagree with the claim. And when we add to the previous statement that among all the wonderful .NET frameworks and platforms to have made their way in the market, ASP.NET MVC leads the pack, there will be fewer naysayers and disagreements. .NET has mooted down the market value of other programming frameworks and CMSes by the sheer value it brings to the exercise of developing software applications. The highly sought after features of .NET have redefined the basic nature of developing web applications and websites and MVC only adds to the wonders. Ana amazingly useful framework, ASP.NET MVC welcomes developers of all skill sets. The platform makes it easy for you to create applications – whether you are just a beginner or someone who is looked upon by your programming peers. There is always an escalation in the significance of this platform for businesses. If you are someone looking to learn .NET, you will find the whole learning process to be much more amiable and grounded, much to the liking of your knowledge-set which isn’t much equipped as yet. The ease of developing applications helps you get a greater hold on the learning curve and make a greater impact as you learn more and more. Ban unfailing advantage .NET provides to you is by offering you the suite of library scripts and extensions that you can use while creating your applications and writing the code on C# or VB.NET. These extensions go a long way in helping you to not write additional lines of code, and thus taking the programming load off your shoulders to some extent. As the technology grows, we may see influx of more and more advanced extensions that will continue to reduce the work burden of developers and give them more room and time to develop feature rich applications which have additional thought invested in them. biggest blow your website can receive is that when it starts giving out the error messages to the visitors, who don’t waste a lot of time in navigating off to some other website. It is quite common in Internet world, but the patience of users isn’t something they can boast of. 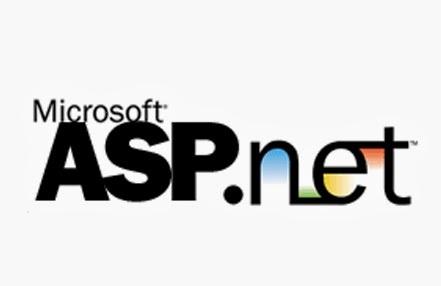 ASP.NET prepares you well enough in advance by its auto-recovery capability. It does not allow memory leaks, a feature that further reduces the possibility of any such errors. The most critical aspect if developing an app or a website is making it responsive. It is also the most overlooked aspect. If your app lacks the responsiveness, it can crash or load at the user’s device very slowly, thus marring their experience and spreading a negative feedback about your product. Apparently it is the last thing you want and it is the last thing you can expect from an application developed using ASP.NET. This platform makes sure that the applications you craft are smooth, and do not cause the browsers to run slow or websites to load taking their leisurely time. With a great responsiveness, you are rest assured to have customers who are satisfied and spread and positive word of mouth. For the developers who still have things to learn, the large ASP.NET developer communities are a great way to look up to, as and when they hit a roadblock. The members of these communities are experienced developers who are exceptionally skilled and expect the kind of problems you have come up with, and thus, they are having solutions for the same. Also for an ASP.NET development company, these serve as the great places to scout for the right .NET talent and hire them. This platform gives you a great value for your money and effort, and there are a number of reasons, afore-mentioned, that testify this claim. In order to ensure you get delivered the best quality ASP.NET development services, hire developers who with an array of knowledge and requisite experience to create applications of good performance and feature standards. Peter Milar is a content writer and a web designer by profession. He loves to share his thoughts & Ideas on ASP.NET development services. For more info. visit Xicom Technologies and you can Hire .NET MVC Programmers from Xicom Technologies.